Weird News: Moons, Puppies, Hells Angels, Bulldozers and Traffic Jams. Would you throw a puppy at these guys? The origin of this wonderful sentence is an incident near Munich, Germany, in which a student mooned members of a Hell’s Angels motorcycle gang, threw a puppy at them, drove off in a bulldozer he stole, then broke down on a highway, causing a three-mile long traffic jam on the autobahn. As always, I have a lot of questions that went unanswered in the stories I saw on this little episode. –Why did the student throw the puppy and do all that other stuff? There were suggestions that he was depressed and off his medication, but I want more. What medication? And why would you moon and throw puppies at a motorcycle gang when you’re not on your medication? Also, I didn’t know depressed people have enough energy to throw puppies and steal bulldozers. —There was no word on how the Hell’s Angels reacted. 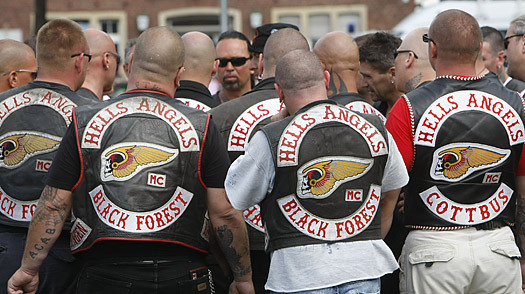 Personally, I wouldn’t throw anything at the Hell’s Angels, and would keep all my clothes on if I happened to be near them. You would think the Hell’s Angels would have been annoyed by this guy, but the articles don’t say whether this is true. —- Why did this guy pick on the Hell’s Angels? Couldn’t there be safer organizations to pick on? Maybe a gathering of peace activists? —The puppy is unscathed and at last report was at an animal shelter. What kind of puppy is it? How did it react to being thrown at the Hell’s Angels? Has this ever happened to the poor puppy before? If someone adopts the puppy, will they be forced to promise they will never, ever throw it at a group of Hell’s Angels? 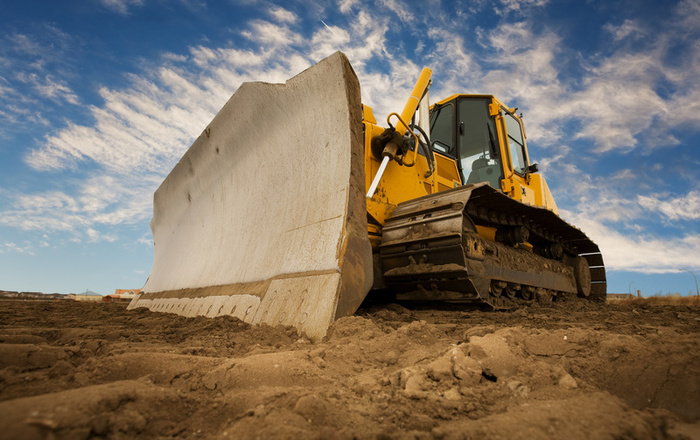 –Why did our hero steal a bulldozer and not a car? You’d think you’d make a speedier getaway in something other than heavy construction machinery. Plus, you might attract a little less attention by driving a car rather than a bulldozer. But then again, I’m not an expert at speedy getaways. This entry was posted on June 17, 2010 at 8:50 pm and is filed under Uncategorized. You can follow any responses to this entry through the RSS 2.0 feed. You can leave a response, or trackback from your own site.